Ben Simmons ﻿was with rich company for his birthday in Vegas over the weekend … partying with a squad worth nearly $10 BILLION combined … and TMZ Sports has the pics!! The NBA Rookie of the Year kicked off his 22nd year with ragers at both Drai’s and TAO nightclubs in Vegas on Saturday … livin’ it up with Sixers co-owner Michael Rubin (net worth: 3 billion), Patriots owner Robert Kraft (6 billion) and Meek Mill (okay, he’s not a billionaire, but he’s rich). FYI — all these guys played a huge role in the #FreeMeek campaign … so it’s great to see them all hangin’ out together after the rapper’s release. 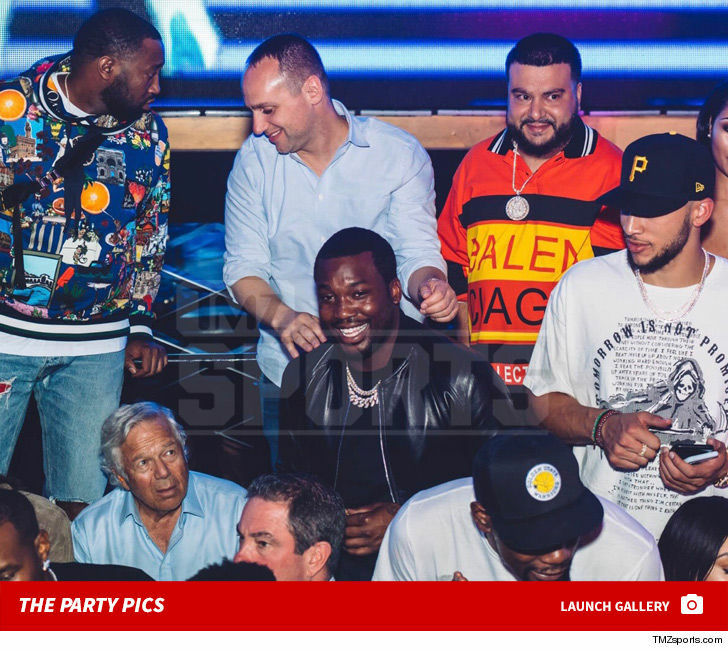 We’re told the gang rolled together to Drai’s to support Meek’s performance … and judging by our vid from TAO that same night, all eyes were on the Philly Clout Gang. Only question left — who got Simmons the best bday present? ?